Oxford Lieder operates year round, promoting other performances and education events in addition to the Festival. 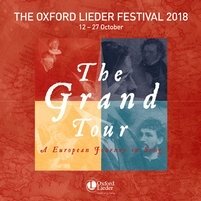 The special atmosphere of the Oxford Lieder Festival is also warmly appreciated by artists, many of whom enjoy longstanding relationships with us. 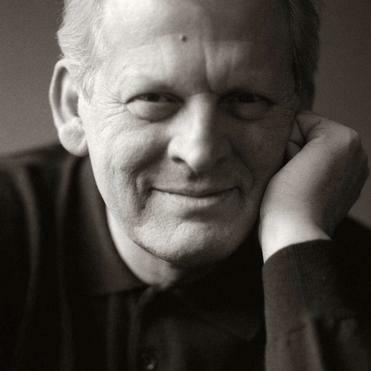 Oxford Lieder’s Patron is Sir Thomas Allen. Ian Partridge CBE is Patron of the Friends of Oxford Lieder and Dame Sarah Connolly DBE is Patron of The Schubert Circle. Other renowned visitors in recent years have included singers Ian Bostridge, Angelika Kirchschlager, Mark Padmore, Katarina Karnéus, Roderick Williams, Birgid Steinberger, Wolfgang Holzmair, Robert Holl, Christoph Prégardien, and pianists including Graham Johnson, Roger Vignoles, Julius Drake, Imogen Cooper, Thomas Adès and many others. Oxford Lieder has a proven commitment to finding and promoting exceptional emerging talent, and stars of the future can regularly be heard at the Festival. "Oxford Lieder goes from strength to strength, with interesting and appropriate programming. More and more these days the fate of the performance of Art Song is left to the passion of one or two individuals for its inclusion in our diet. We should applaud Sholto Kynoch for his creation of this Lieder Festival and once again I wish him, the performers and all who come to listen the most satisfying of times in allowing us a further arena in which to hear this great musical literature." Our ever-expanding Learning & Participation programme inspires young and old alike through the power of song and its unique combination of words and music. Each year we lead a creative workshop project in local schools, involving dozens of young people in composition and creative writing. We provide numerous masterclasses for outstanding students, and we increasingly enable participation in the Festival for amateur musicians, through special masterclasses, ‘bring & sings’ and a Festival Chorus. We are proud of the Oxford Lieder Young Artist Platform, which each year appoints ‘ambassadors for song’ to perform at the Festival and in music clubs around the UK, helping in our mission to promote song and giving an invaluable career boost to young professional musicians. We believe a Festival should truly inhabit its home city and endeavour to engage with other institutions and as many people as possible. The meeting of literature and music offers rich opportunities for this and we have enjoyed successful and creative collaborations with the Ashmolean Museum, the Bodleian Library, the Pitt Rivers Museum, the Phoenix Picturehouse, the Botanic Garden, and many of Oxford University’s Colleges and Faculties. Our other partners have included the UK’s leading conservatoires, music/theatre company Re:Sound, other music promoters and numerous pubs, hotels, cafés and restaurants. A celebratory spirit spills out of the concert hall during each Oxford Lieder Festival.